The jury selection begins today in Sanford, FL in the murder trial where George Zimmerman is being accused of murder in the death of Trayvon Martin. On February 26, 2012 Trayvon Martin was fatally shot by George Zimmerman. The media will be out in force as well as spectators in this highly charged, racial trial. The jury selection process is thought to take between 4 and 8 weeks. It has been about a year since the incident took place and with so much racial divisiveness that has taken place during that time, it is going to be interesting to see just how fifficult it is going to be to select a fair and impartial jury. At question, was it self-defense or murder. At greater question, can a jury actually provide a fair trail? A line up of who’s who in the trail. There are those on both sides question whether they can get a fair trial. Those on the Martin side have made this an issue of race from the outset, including the liberal MSM that have adopted the designation of defendant George Zimmerman as a “white” Hispanic. 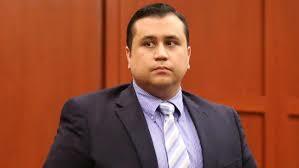 The family had questioned why Zimmerman was not immediately arrested following their son’s death. Of course there are those on the Zimmerman side who question whether he can get a fair trial in the midst of all this racial unrest. Also, how does one get a fair trial after the President of the United States, Barack Obama, interjected himself into the case by saying, “if he had a son, he would look like Trayvon Martin”. Nah, that didn’t taint the jury or make racial issues worse now did it. Jury selection begins on Monday in the murder trial of George Zimmerman, who shot and killed unarmed black teenager Trayvon Martin in 2012 and then famously walked free for 44 days, triggering nationwide protests and calls for his arrest. Lawyers estimate the long-awaited trial will last four to eight weeks. Much of that time is expected to be spent picking a six-person jury that can be open-minded despite extensive publicity about some of the explosive issues, including racial profiling and self-defense, surrounding the case. “They’re going to have a tough time picking a jury. At this point who doesn’t know who Trayvon Martin is and who George Zimmerman is,” said David Weinstein, a former state prosecutor and criminal defense lawyer. Zimmerman, a 29-year-old former neighborhood watch volunteer, faces up to life in prison if convicted as charged of second-degree murder. The American Thinker brings up and important an valid point of pre-trail intimidation. The Martin family attorney is making it crystal clear that nothing less than a conviction will “prove” equal justice. So what are they saying, we can expect protests, riots and activists with an agenda to fan the fires of racism if the verdict does not go their way? That is the idea they are floating to all involved. Can George Zimmerman really get a fair trial? The “race” card is stacks against him. Before the trial even starts, the Martin family attorney is making it crystal clear that nothing less than a conviction will “prove” equal justice. And soon, we will probably be treated to statements from black leaders warning of race riots if Zimmerman is found not guilty. This is called “intimidation” and “railroading.” Le’s hope the jury can resist it and come to a considered verdict. The long and short of it is, NO, Zimmerman will not get a fair trial. He can not get a fair trail. There shouldn,t even be a trial. He broke no laws! !